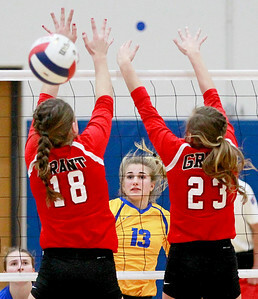 Candace H. Johnson-For Shaw Media Grant's Mallory Harrity and Kayla Dabrowski block an attack by Warren's Claire Lundtveit in the second game at Warren Township High School in Gurnee. 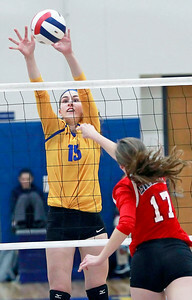 Candace H. Johnson-For Shaw Media Warren's Natalie McNally looks to block an attack by Grant's Hannah Johnson in the third game at Warren Township High School in Gurnee. 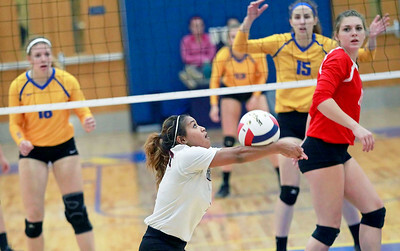 Candace H. Johnson-For Shaw Media Grant's Emily Bringer looks to block a ball sent over by Warren's Marissa Kuula in the first game at Warren Township High School in Gurnee. Candace H. Johnson-For Shaw Media Grant's Hannah Johnson gets the ball past Warren's Katie Corr and Lucy White in the first game at Warren Township High School in Gurnee. 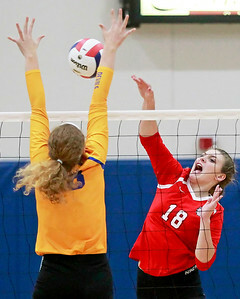 Candace H. Johnson-For Shaw Media Warren's Marissa Kuula tries to block an attack by Grant's Ashley Freund in the third game at Warren Township High School in Gurnee. 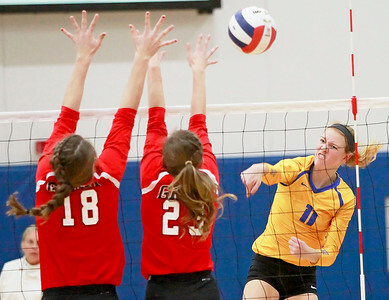 Candace H. Johnson-For Shaw Media Warren's Natalie McNally watches her spike get past Grant's Mallory Harrity and Kayla Dabrowski in the third game at Warren Township High School in Gurnee. 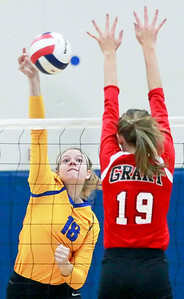 Candace H. Johnson-For Shaw Media Warren's Dana Lundtveit looks to spike the ball past Grant's Hannah Johnson in the second game at Warren Township High School in Gurnee. 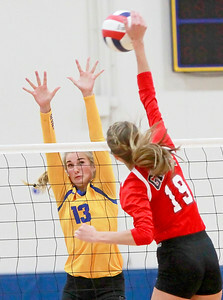 Candace H. Johnson-For Shaw Media Grant's Mallory Harrity (on right) spikes the balll past Warren's Dana Lundtveit in the third game at Warren Township High School in Gurnee. 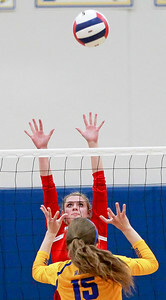 Candace H. Johnson-For Shaw Media Grant's Katy Fisherkeller bumps the ball against Warren in the second game at Warren Township High School in Gurnee. 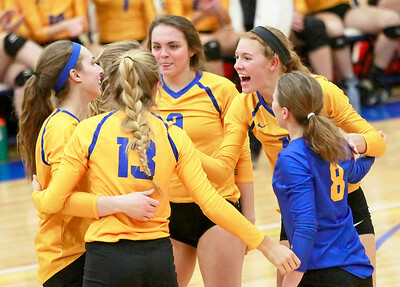 Candace H. Johnson-For Shaw Media The Warren girls varsity volleyball team celebrates a point against Grant in the second game at Warren Township High School in Gurnee. 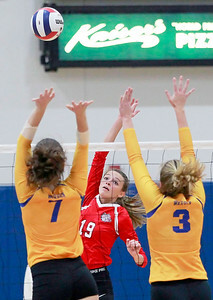 Warren's Natalie McNally watches her spike get past Grant's Mallory Harrity and Kayla Dabrowski in the third game at Warren Township High School in Gurnee.